In 1981, the National Commission on Excellence in Education identified “widespread public perception that something is seriously remiss in our educational system” (Fiske, 2008). Thirty years later, in 2011, Harvard School of Education's Pathways to Prosperity Project states “In an era in which education has never been more important to economic success, the U.S. has fallen behind many other nations in educational attainment and achievement.” Learning-centered learning is not a new concept, with roots dating back to the progressive movement of early 1900's, gaining prominence in post-modern education with Nation at Risk: The Imperative for Educational Reform. 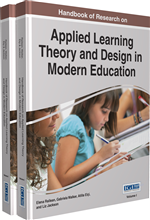 A major focus of applied learning theory in post-modern education is preparing learners for a profession, a basis for achieving economic independence. This chapter identifies higher education institutions in the United States, Australia, and Great Britain highlighting methodologies, best practices, challenges. Two community college case studies are reviewed, identifying successes and opportunities of current learning practices. To what extent are higher education administrations and educators preparing students to lead successful lives as adults? Upon graduation, are students prepared for economically sustainable careers? Learner-centered learning, a central component of applied learning theory has always been an important concept for the author because of a professional career working with youth in crisis and with youth in economically challenged families and neighborhoods. A human being who is economically secure, who is able with a modicum of confidence, to provide the basics of food, clothing, shelter and some comfort for themselves, is one who most likely will be a contributor to society rather than a drain on a nation’s resources through unemployment, state aid, or incarceration, etc. Higher education institutions, because of their mission and the median age of their customer base, are major contributors to helping young adults make a successful transition from the classroom to the working world. In 1916, John Dewey wrote about the connection between experience and education, and how this process is related to the continued existence of society. According to Dewey, mere activity does not constitute experience. This author would add neither does mere education constitute learning. Change as a result of experience and education is meaningless transition “unless it is consciously connected with the return wave of consequences which flow from it” (Dewey, 1916, page unknown). As stated in another of Dewey’s books, Education and Experience,” there is an intimate and necessary connection between the processes of actual experience and education” (p. 7). It is this constant stream between experience and reflection, which is the basis of much of post-modern applied learning theory. Dee Fink puts some of the onus for this problem on graduate teaching programs that focus almost exclusively on the “challenge and complexity of good research” (p. xi). Yet Information literacy, problem solving abilities, and integrative learning are examples of skills highlighted in a survey by the Association of American Colleges and Universities that are valued by businesses and employers in today’s work environment. In other words, providing authentic contexts and applied learning activities connecting theory to a learner’s daily life, will create a stronger bond for the student between knowledge gained and the skills one employs as a member of a work-force. Currently however, school administrators and teachers are ill prepared and ill equipped to promote applied learning techniques or learning-to-learn principles in the classroom. Inclusive Learning: Individuals working together to solve problems and create opportunities, while establishing and sustaining proactive education, business and community partnerships. Learning College: A successful learning community that requires whole systems to participate in and support learning at three levels: student, employee and organizational as well as the integrative relationship between these three levels. Effective Teaching: Learning opportunities are provided and accessible to learners while offered in a variety of formats and options. Encourages learning outside the classroom. Learner-Centered Learning: Student directed, engaged in and responsible for learning.